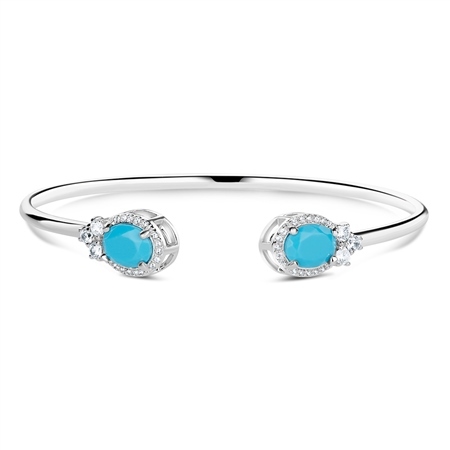 Indulge in the magnificent when choosing to wear this turquoise bangle complete with the added touch of shimmer and sparkle making it the ideal accessory oozing contemporary style. Silver plated bangle with a protective anti tarnish layer, 36 clear crystal and 2 turquoise coloured stone settings, presented in a Newbridge Silverware gift box. Product dimensions 62mm wrist diameter with front opening.